July 24, 2013–Kyiv, Ukraine-– Disability Rights International (DRI) is proud to announce the creation of its newest advocacy office in Kyiv, Ukraine. Your Dimension–the Disability Rights Initiative of Ukraine (DRI-Ukraine) is headed by Halyna Kurylo, a disability and women’s rights activist trained in social work. She is also a self-advocate for women recovering from eating disorders. DRI also has regional offices in the Balkans, based in Serbia, and the Americas, based in Mexico City. DRI-Ukraine is affiliated with DRI but is locally-controlled by Ukrainian advocacy leaders. Since 2010, DRI has worked to strengthen locally-based advocacy in Ukraine. DRI has trained more than 200 advocacy organizations, activists and government officials across the country on best practices for rights protection and community integration. DRI’s presence in the country will help ensure that Ukraine adheres to its promise to fully integrate children and adults with disabilities into the community as required by article 19 of the UN Convention on the Rights of Persons with Disabilities. DRI-Ukraine director Halyna Kurylo graduated from the National University of Kyiv-Mohyla Academy with a M.A. in Social Work and Social Policy in 2011. She is additionally an alumna of the U.S. State Department exchange program for undergraduate students. Upon coming back to Ukraine after a year studying in the United States and interning with the National Association of Anorexia Nervosa and Associated Disorders, she co-founded a non-profit in Kiev dedicated to rights promotion and empowerment of women with histories of psychosocial issues and disabilities. For three years Kurylo was part of a team conducting monitoring for the Fair Labor Association and several clothing companies, documenting the working conditions of women whose labor rights were systematically violated. 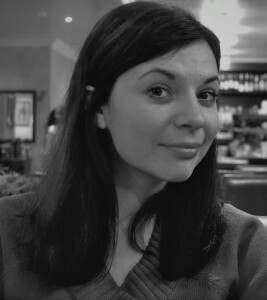 Olga Levshukova serves as DRI-Ukraine’s Program Associate. Levshukova graduated from the National University of Kyiv-Mohyla Academy with a M.A. in Social Work and Social Policy in 2011. Since 2004 she has volunteered for several governmental and non-profit service providers for children and adults with disabilities in Ukraine. Kurylo and Levshukova have participated in DRI trainings in Ukraine since 2010.